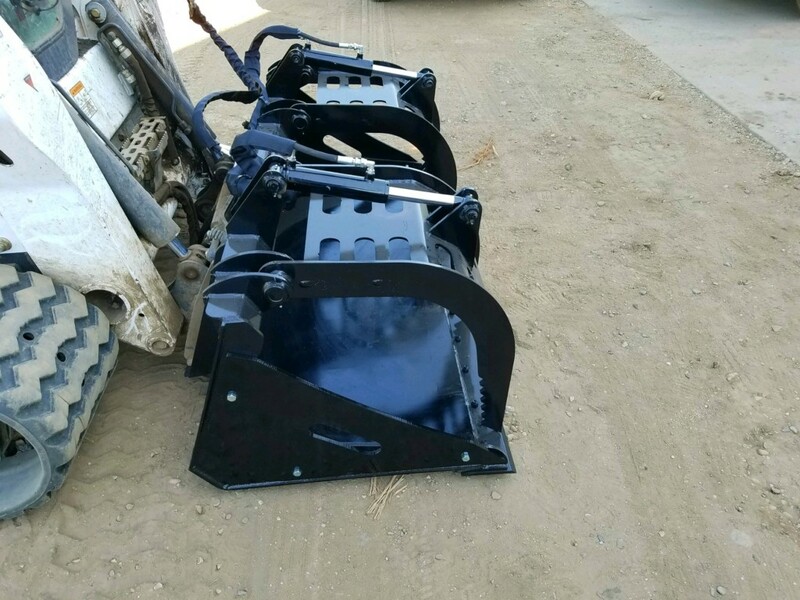 *Stemming from our Super Duty Low Profile Dirt Buckets we offer a couple different options depending on your particular application and needs. 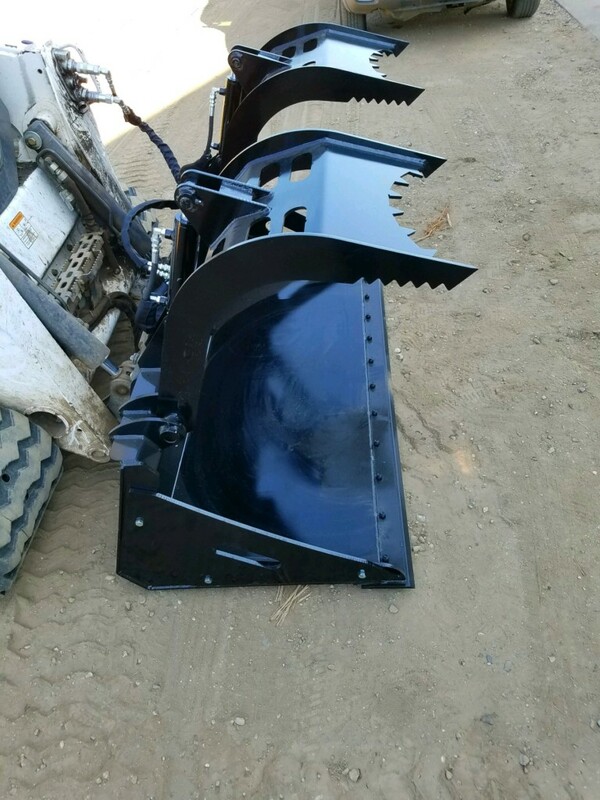 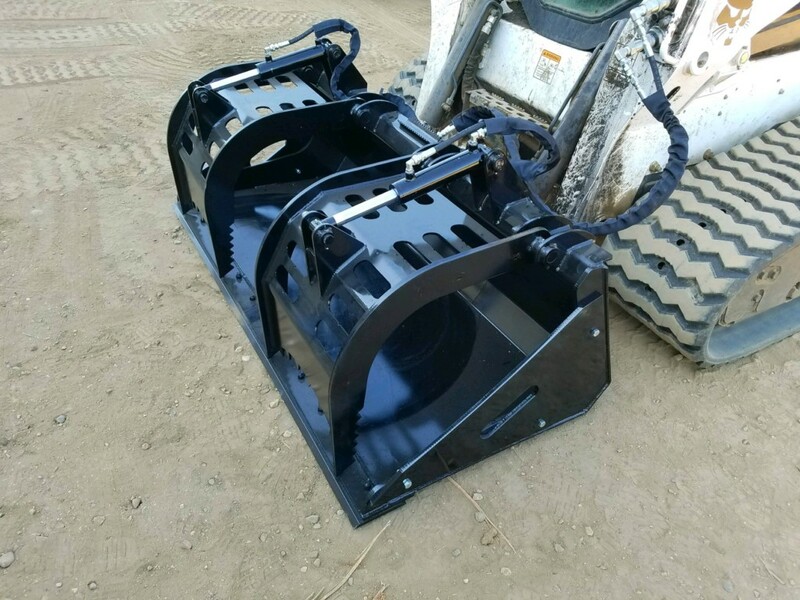 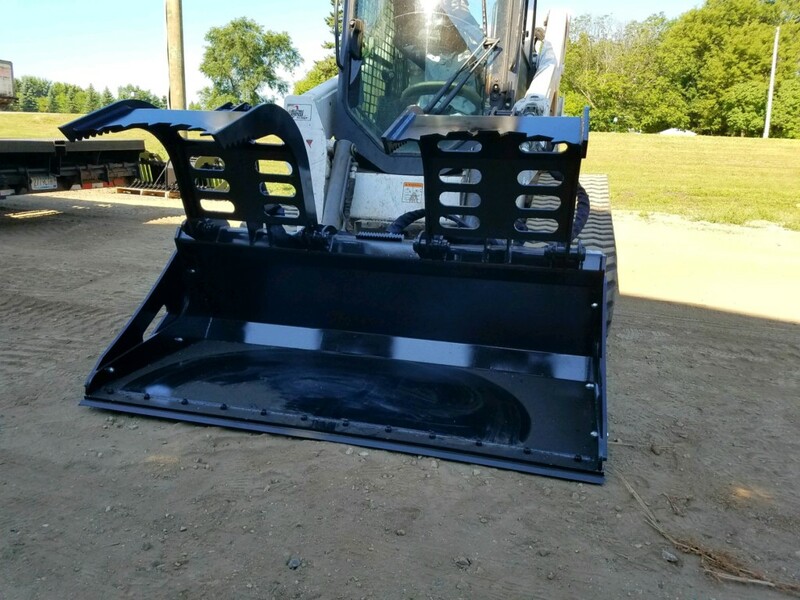 Option #1 Heavy Duty Grapple Bucket feating 3/16″ bucket material with 1/2″ runners underneath for scraping and support. 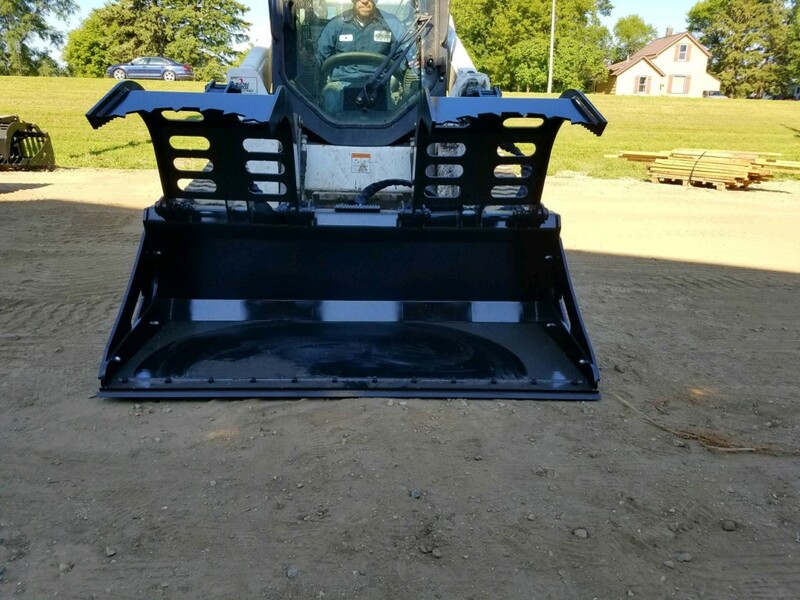 1/2″ ends with bolt on removable side plates OR the option for standard solid side walls. 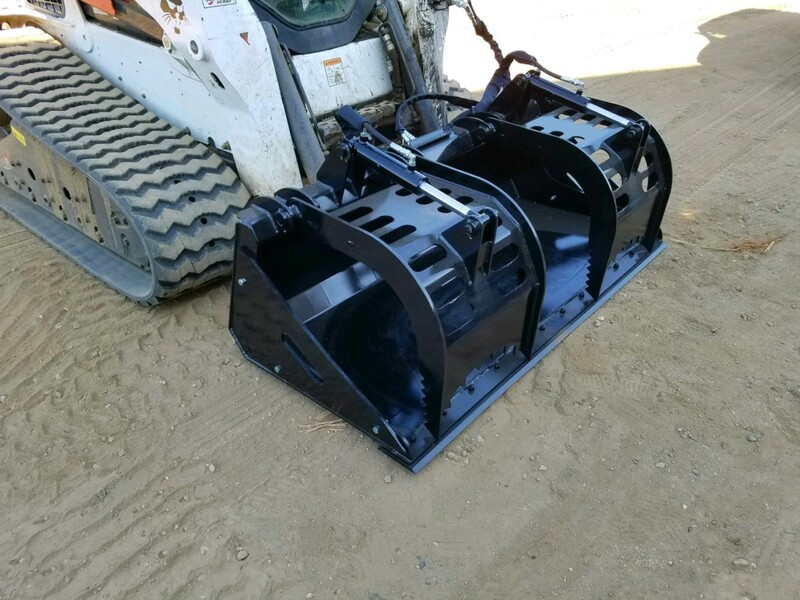 Like all of our attachments, these are professionally engineered and rated commercial and industrial grade area backed up with full warranty! 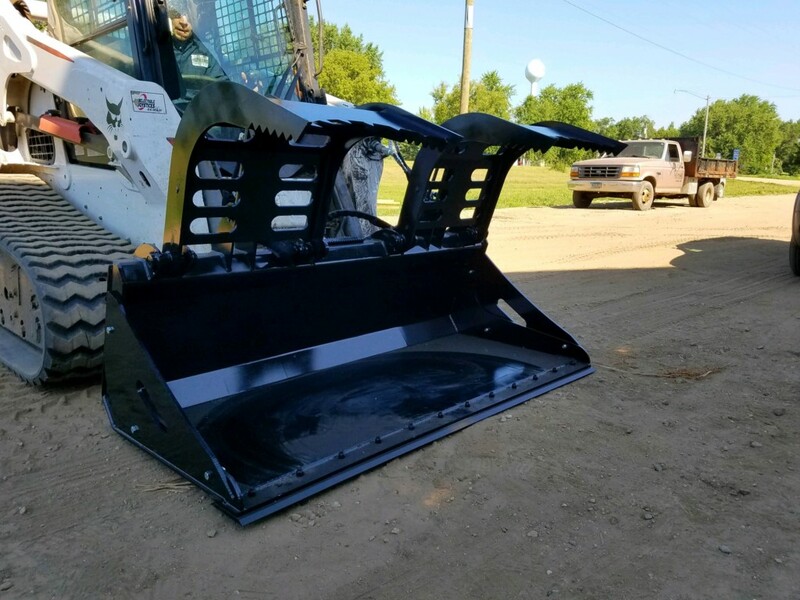 Option #2 We also offer a Super Duty Low Profile version in this Dirt/Material Bucket Grapple that increases the weight a bit but also outpaces a lot of our competitors in durability. 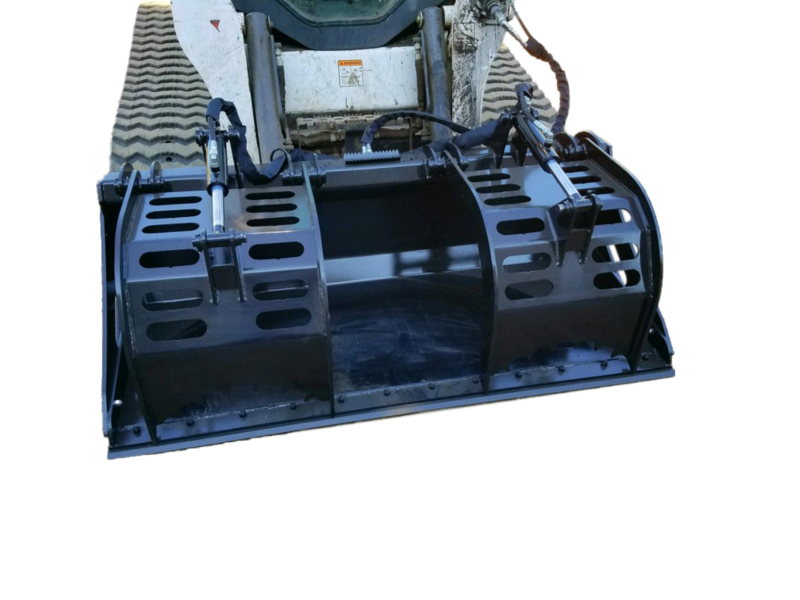 Bumping up with a larger press brake for forming this is a 1/4″ bucket material with 1/2″ runners and the same great features can be added. 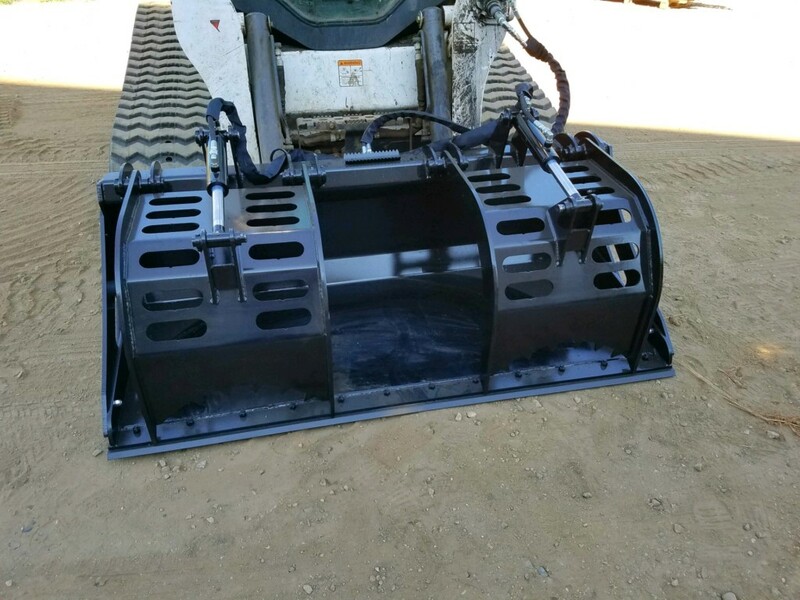 1/2" Weld on Cutting edge; 1/2" Bolt on reversible edge; or 3/4″ Reversible Bolt on Cutting Edges available.